What’s going on with the crafting thing? Crafting seems cool again everyone wants to ‘do’ stuff rather than ‘buy’ stuff. There are so many experiences to buy and so many online environments to enable this community to thrive. I have just stumbled on ‘Funzing’ ( not loving the name), but it’s pretty entertaining. If I wasn’t ‘making’ for a living I am sure I would be up for some of this action. Here are some of my top favourites for hipster brides to be, who want to discover their inner crafter! Fascinators have had a bad rap but John looks like a cool guy, he does a half day intro to millinery in Herne Hill. Yes , sinamay and feathers! Create your own signature scent in Southwark. A bespoke fragrance for your wedding ? Learn about the range of notes and scents, blending and mixing. Letterpress workshop. Introduction to hand setting metal and wooden type…. Lovely. Wedding invitations? 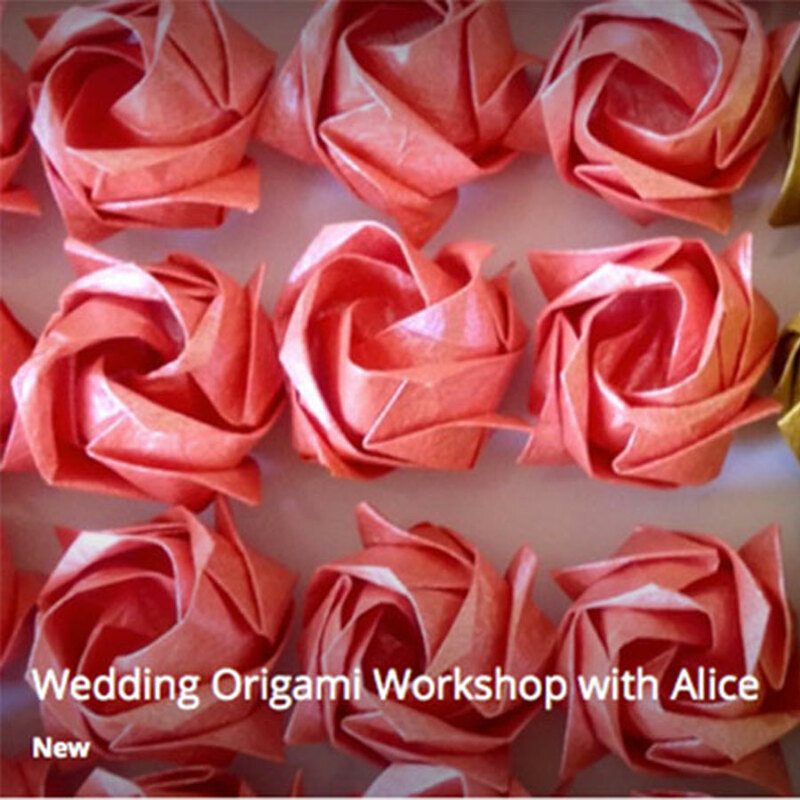 Origami wedding creations. Name cards, Kawasaki roses and origami cranes the symbol of happiness and good fortune. A small break for green tea and Japanese snacks, sounds lovely.